Don’t we all love randomness – random note in music score, random items of clothing, random fingernail paint, random public toilets for some random … no!? Nice, productive, kind, or cruel, there is a little of everything and nothing that an act of randomness brings about. 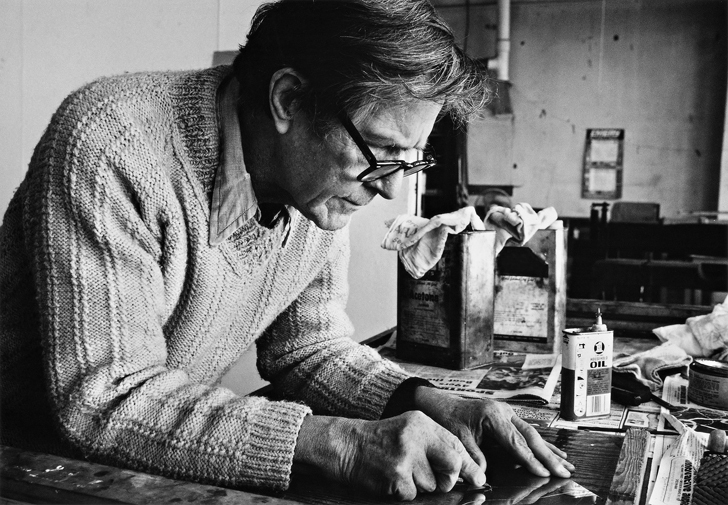 Take, for example, John Cage, an avant-garde composer-et-artist, whose extraordinary works have recently been toured to the Kettle’s Yard, Cambridge. Cage loved mushrooms – the past tense as in the guy was long deceased – loved them, loved them so much he wrote a book about them. Call what? The Mushroom Book (1972), but god forbids, we’re not digging detail on this. Our mushroom-headed John also taught a mycology course at the New York School for Social Research and even won 5 million lire – “lire” the Italian currency before it entered the EU and got screwed by it – on an Italian TV quiz show. And as a composer, Cage never dissociated mushrooms with music. Now, you can’t say this isn’t random? Unlike his musico-mushroomology – we’re just taking a piss and this word doesn’t really exist, you know? – Cage wasn’t the pioneer in chance operations but he was in their re-application to music, the skill of which he later extended to his creatively random visual art. In the mid 50s, Cage was given a copy of I Ching, an ancient Chinese philosophy, commonly known for its rapport with divination and involving obtaining a hexagram, a combination of eight lines, by random generation and re-translating the accumulation of those line combinations. That wasn’t exactly what Cage picked up; rather, it was the old means of random generation, coin tossing and the tortoise shell burning, that Cage incorporated into his art of chance operations. Philosophically, Cage saw chance operations as a mean to obliterate his own ego by choosing only questions to ask – which material to use, which colours, where to go on the surface, which techniques to be used, or something like that – and leaving the random generation do the artistic assembling. Yet, in his latter years, Cage’s re-application of chance operations was not only limited to coin-tossing to dictate his means; his method of randomness developed away from the spiritual I Ching coin tossing to drawing with closed eyes and subsequently a computer-generated I Ching programme listing number from 1-64, which he stuck with and became instrumental in his musical composition, collage, and mesostic poems. Utilising a broad range of unconventional material, such as cotton batting and foam, to stones and fire, Cage’s visual art, i.e. 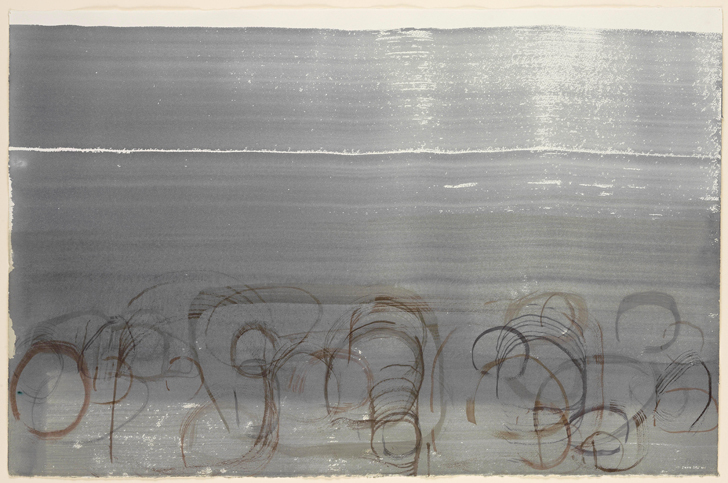 prints, drawings, etc., Cage created the multi-layered visual composed of lines, numbers, brush trails by engraving, photo-etching, aqua taint and dry-point. Most notable of Cage’s collections of prints are Changes and Disappearances (1979) and 17 Drawings by Thoreau (1978) both of which featured something serenely abstract, with cool colour shades and lines with a story within themselves. John Cage lovers as we are, SUPERSWEET has assigned our love child Emmi Ojala a task of re-creating Cage’s SS way. So, do expect mushrooms in our Pt.2 coming soon! !